EDIT: Been shooting with this for a month now. Has made life with the FS7 much easier. Zero issues in post! There’s enough Sony FS7 haters out there, so I don’t want to add fuel to the fire - but I have never liked Cine EI. I get why Sony did it. I understand the reasons behind it, but I think it was a mistake to dump a system like that on unsuspecting users - with pretty much no explanation of how to get the most from it. 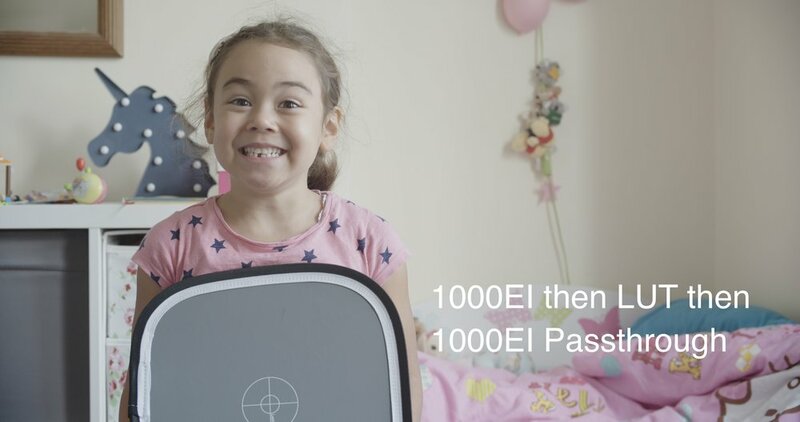 Hence - YEARS down the line we are presented with a firmware update to let FS7 users change the ISO in CineEI mode. 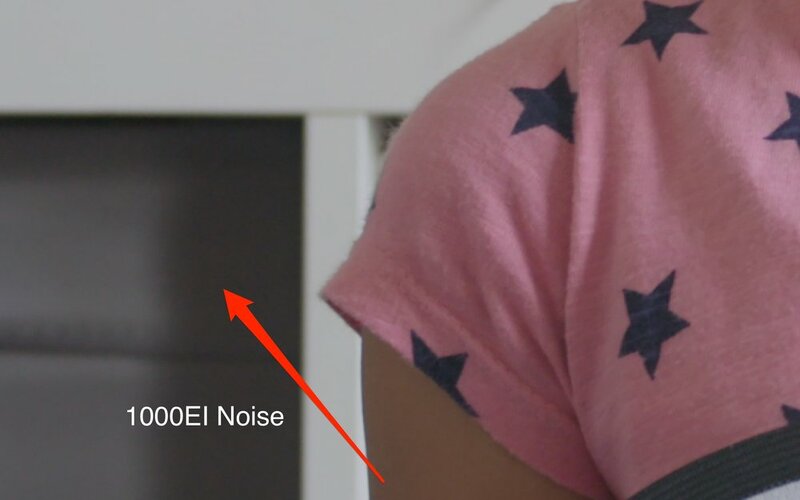 Meaning that when you flick the switch to 1000EI (or any other EI), this is now burned into your footage. That doesn’t mean I haven’t be using Cine EI mode. I use it 99.9% of the time, unless forced not to. It IS the way to get the BEST image out an FS7. But here’s the rub, and it’s a major one. The majority of clients don’t understand how to get the most from it in post. A large amount of stuff I shoot on the FS7 comes out the ‘grade’ looking worse than if I’d just burned in a LUT on set. And this is NOT the clients fault - as I will demonstrate. If I shoot projects for the same clients on an Amira or a RED, or pretty much any other camera - I’m almost always pleased with the end result. Is it just a coincidence that the awful grades are almost exclusively done with FS7 footage? Of course you can maybe factor in that a project on a higher end camera usually gets a higher end treatment. This is certainly part of it. But the irony is that the FS7 needs MORE work in the grade to shine, not less! 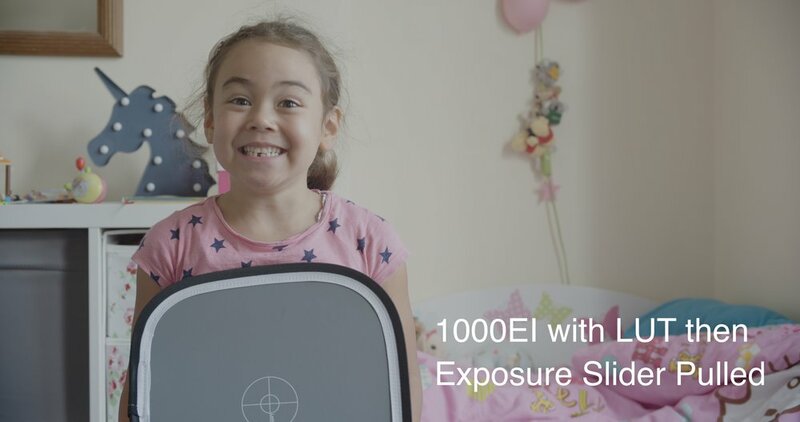 I have always done my best to educate clients on the Cine EI workflow, but ultimately you are entering into a complex round of Chinese whispers. 9/10 times I don’t have a direct line to the editor (who is usually doubling up as the grader on FS7 projects). These guys understand the majority of camera work-flows. But what if they’re not fully up to speed with CineEI? Why on earth should they be expected know how one manufacturers peculiar system works? It’s where the Cine EI system comes crashing down. Opening up by 1 Stop and giving the camera more light, reduces noise and improves overall image quality. Here’s the problem. Between that conversation and the final result, we have entered what I call ‘the post production Wild-West’. Are they editing on Pr, FCPX or Da Vinci? Is there a certain way you need to deal with LUTs in each of these bits of software? Do they all produce completely different results? Answer… Yes, No, Maybe - who knows! Lets say they are using Premiere. Here’s how easy it is to balls up your project. Oh FFS! That’s worse. I thought the passthrough LUT was supposed to correct exposure?!? What? It matter what tab I apply it to in Premiere??? That worked! Just as well I had all that foreknowledge of exactly how to deal with Sony’s user-friendly EI system in post! I’m going to take a wild guess here. I’m going to say that many people who OWN FS7s don’t fully understand how to treat footage shot at a different EI than 2000 in post. In fact I KNOW they don’t, cause the main FS7 Facebook forum has confused dudes on there every day, still trying to figure it out! So what does it look like if I turn ON the new variable ISO mode and shoot at 1000EI? RESULT!!! My FS7 is a NORMAL camera! I’m going to put my neck on the line and say it looks IDENTICAL to properly treated 1000EI footage. So this is great right?! We can now hand over footage with less noise (a better image) to clients knowing there’s way less chance of them destroying your work in the edit? The simple answer in my mind is YES!!! From a technical level (and a tad convoluted level), you are losing a stop in the ‘shadows’. Are you really? Like real life really? Cause what do you do with footage shot at 1000EI normally? You pull down your levels and crush the blacks. Are we really wanting to ‘dig’ out those details? And aren’t those shadows arguably more usable anyway? I’m sure the tech heads will explode at me saying this but… end of the day, if I was handing over footage knowing it was getting a professional grade, I wouldn’t have to worry. So why am I going to worry about a theoretical shadow stop lost? More tests are requires. Highlight clipping with standard LUTS might be a slight issue. You will see from the waveform that Slog3 now clips below 93IRE, at about 85. But I applaud Sony for FINALLY adding this feature! Newer PostShooting 9:16 Vertical Video - and why I don't hate it!